Spring fashion means all things floral and feminine, so it's no secret as to why this is my absolute favorite season. I have been doing a little online shopping recently and I came across a few items that I think would be perfect for the springtime! 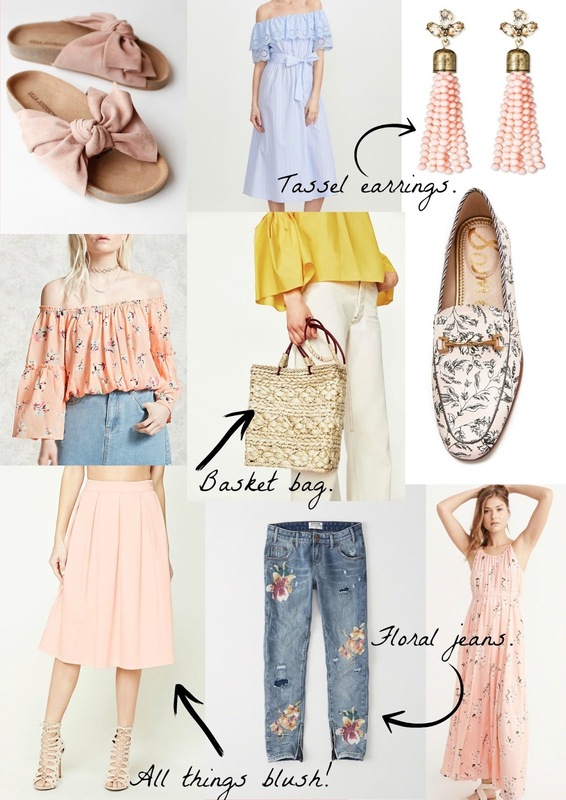 These floral jeans from One Teaspoon are at the top of my wish list right now, along with a basket bag like this one from Zara. You can shop the rest of my spring picks my clicking on the links down below! NEED those floral jeans!! I've seen a lot of embroidered jeans this season but all have red and/or blue embroidery. Pink is much more my style! Thanks for sharing! These colors are amazing! I want everything!